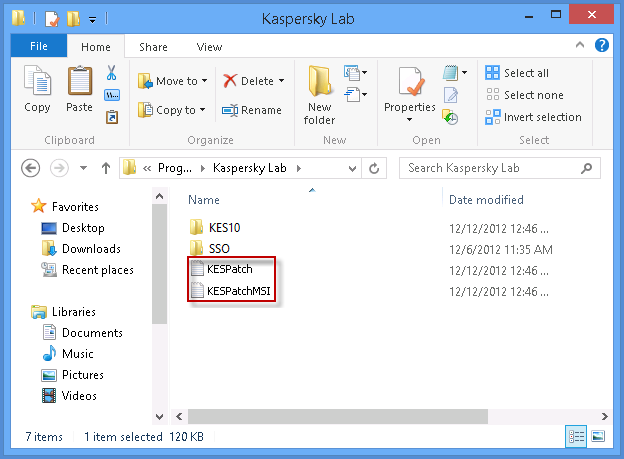 The article refers to Kaspersky Endpoint Security 10 for Windows Maintenance Release 1 (version 10.2.1.23). If you experience problems installing (applying) a Kaspersky Endpoint Security 10 for Windows patch, a patch installation trace file may be necessary for troubleshooting. In the lower part of the application window, click Support. In the Support window, click System trace. In the drop-down list, select the trace level. Ask the support engineer about the tracing level to set. If the support engineer did not give you any instructions about the trace level, select Normal (500). Click Enable to start collecting traces. Run the Update task with the Update application modules option enabled. Wait for the patch installation to complete or an error to occur. Upon the system restart, disable traces in Kaspersky Endpoint Security 10 for Windows. For Microsoft Windows XP / Windows Server 2003: <your drive>:\Documents and Settings\All Users\Application Data\Kaspersky Lab\. 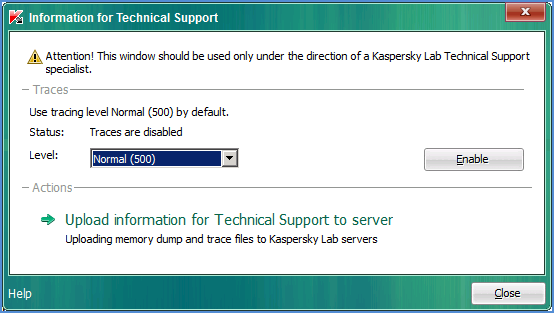 Send the generated file to Kaspersky Lab technical support. Add the description of your issue to the request.